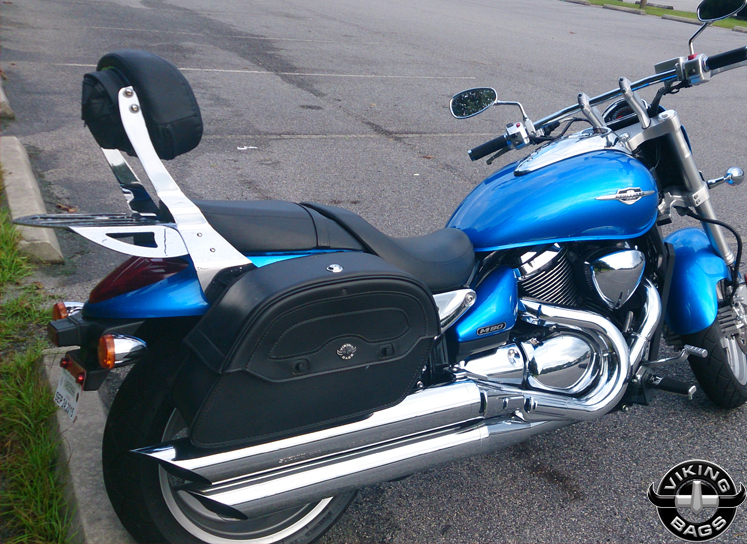 Whenever you need more storage on your Suzuki motorcycle, the only logical option is to add Motorcycle Saddlebags. Viking Saddle Bags provides the highest quality bags for Suzuki Motorcycles. 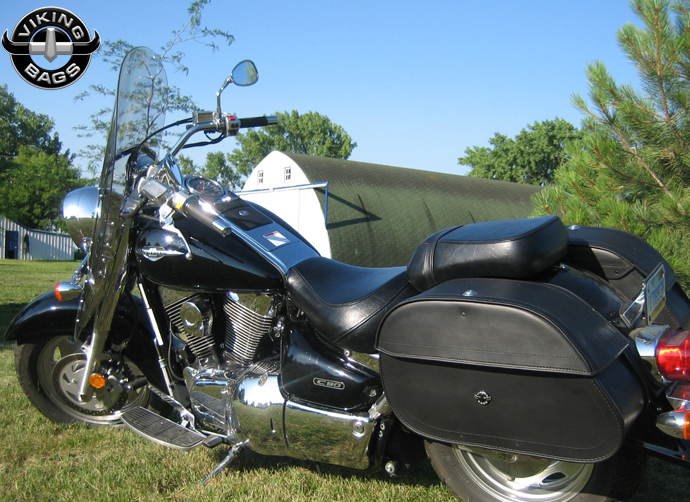 We offer saddlebags that have exterior shells reinforced with fiberglass to help keep it's shape. Make your weekly grocery trips with the help of your Suzuki Saddlebags. Our bags are low maintenance and don't require any special wipes or sealants to stay looking new. With dozens of different styles and variations, you are sure to find a bag that fits your particular style. Viking Bags has manufactured a line Suzuki saddlebags that are strong and easy to maintain, and we're proud to feature these saddlebags for motorcycle enthusiasts with taste. These Viking Suzuki bags have a built-in hard body and several useful, innovative features that simply cannot be found anywhere else. Before purchasing Suzuki motorcycle saddlebags from us, you can be sure that you are getting the best product in the luggage industry. Our lineup includes some of the very best Suzuki saddlebags that Viking Bags has to offer, and we're positive you'll love what you find inside. But let us tell you a little bit more about what you can expect from each of these saddlebags, because a difference in style doesn't mean a difference in quality. Vikingbags.com offers the best Suzuki Saddlebags for Suzuki Motorcycles. 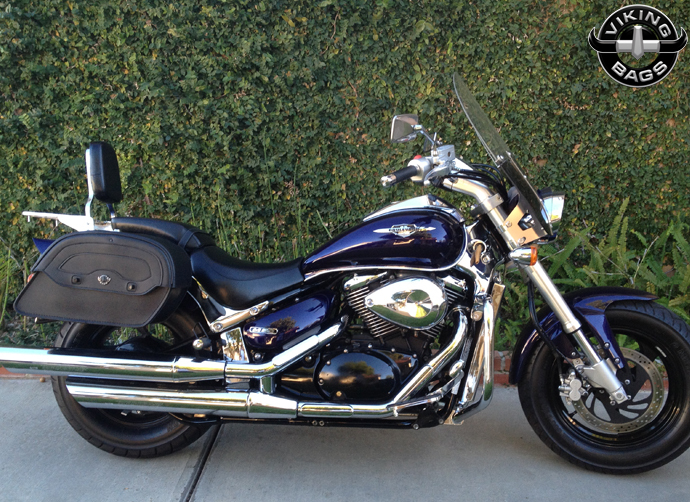 We offer Suzuki bags specifically for Suzuki Boulevard, Marauder and Intruder models and a variety of looks and sizes. 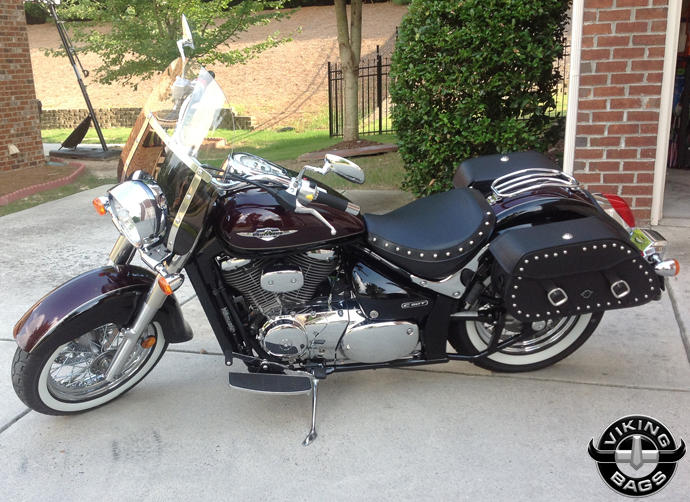 Our Suzuki Saddlebags are durable, reliable and easy to mount. Customers who have purchase a Suzuki Motorcycle luggage bag will receive a free set of mounting hardware. 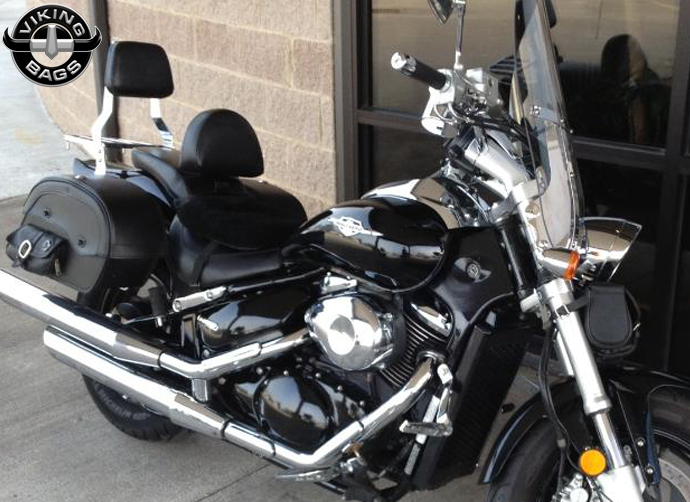 The hard Viking Bags we carry for Suzuki motorcycles are constructed of fiberglass and other hard materials. 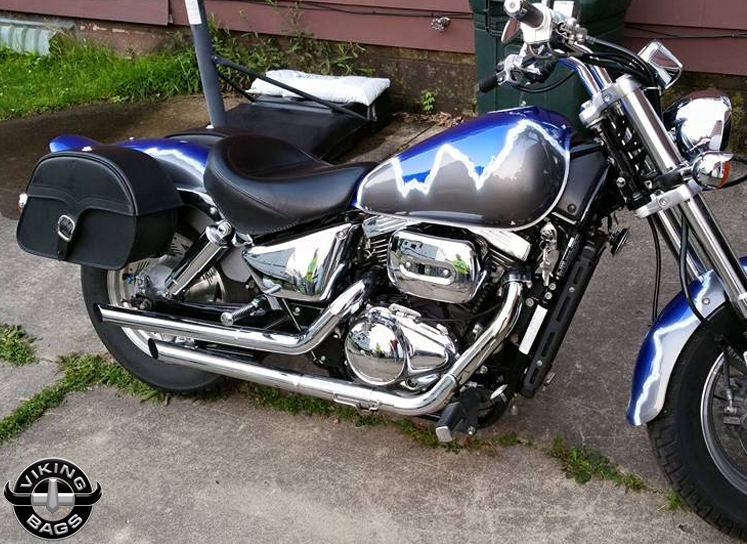 This strengthens durability and provides riders with a sleek exterior to match with their motorcycles, no matter which Suzuki they claim ownership. Viking manufactures each and every one of their saddlebags in this lineup specifically for Suzuki motorcycles, therefore there's no second guessing the perfectly matched abilities of these luggage compartments. Motorcycle saddlebags are definitely a very important accessory for any biker. Saddlebags not only help them to keep their stuff safe, but also help to keep things organized. 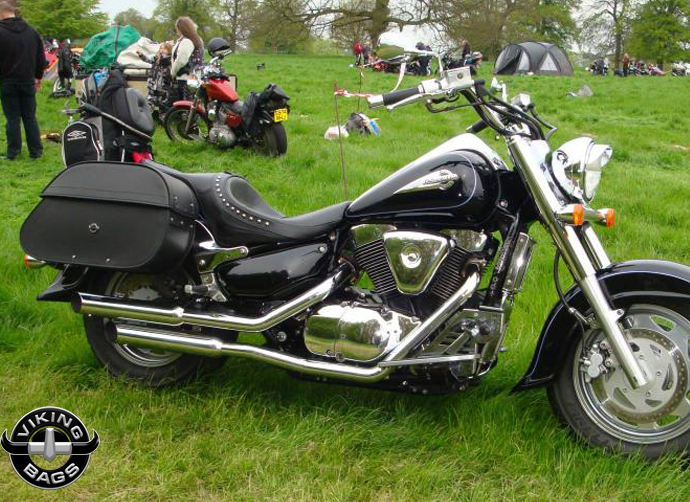 All leading and popular motorcycle brands manufacture saddlebags for their bikes. 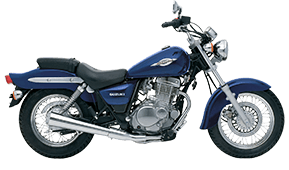 Among them, however, Suzuki bags stand apart because of their distinct style and convenience to the biker. Saddlebags for bikes are especially required for those who go on long distance rides or need to carry tools and related stuff as a part of their work. If you have a Suzuki bike then you will be happy to know that Vikingbags offers a vast range of saddlebags for Suzuki bikes to choose from which will be the perfect accessory for your beloved bike. 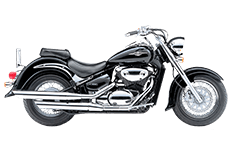 You can choose from leather Suzuki saddlebags, hard saddlebag trunks, Suzuki V-storm, V-storm 650 luggage hard bags, black hard bags and Suzuki Boulevard saddlebags. Some of these saddlebags even fit different models, so riders with more than one motorcycle can make great use out of multiple pairs of bags. Likewise, some saddlebags feature a left hand design with brackets and various other instruments that work to stabilize your bag on the bike. While choosing your Suzuki bags decide on the one that would serve your needs and purpose best. A lot of exciting saddlebags are available that would enhance the look of your bike and complete your ultimate biker appearance. For instance, each Suzuki saddlebag comes with chrome buckles and hard-wearing quick release buckles. While hard saddlebag trunks require very less maintenance, leather saddlebags do require an occasional wipe down and routine maintenance in order to make them shine like new. 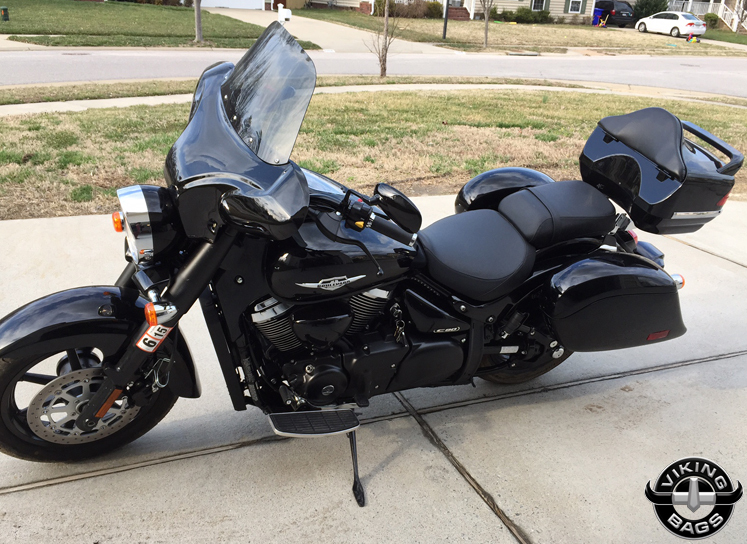 The hard saddlebags might be a bit heavier than their soft, leather counterparts, but they also reinforce the interior liner and offer riders an easy way to stay protected on the road. Both styles of saddlebags provide a weatherproofing ability, keeping rain, snow, sleet and hail from penetrating the interior. 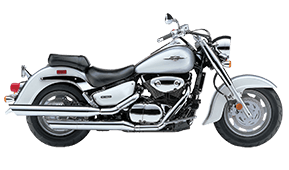 Viking also made sure that all saddlebags in their Suzuki lineup featured their innovative locking mechanism and key system. Riders can easily access the interior through the locking system, while unwanted guests cannot get in where they're not wanted. This provides a nice anti-theft measure for riders, no matter how far away from home they may be. Viking saddlebags come with an additional support kit as well. You can use the stiffeners, bonding solutions, utility products and lid inters to carry on regular maintenance of your saddlebags without going in for professional help. With this kit it is easy to take care of the saddlebags and derive maximum value out of your purchase. And each purchase comes with a free mounting solution, which includes $100 worth of mounting hardware and mounting instructions to give all riders an easy way to hang their bags their way. We are so confident that you'll love our collection of saddlebags for Suzuki, that we're offering a 30-day money back guarantee in the event that you're not completely satisfied. We want to turn around that confidence and help you select the right pair of saddlebags the second time around, or we'll fully refund your money within that 30 day grace period. Of course, we're always standing by and willing to help you find your next saddlebags before you place an order, so let us know how we can help. That's our commitment to you!